If you want to live a long and enjoyable life, you have to stay fit and active even into your old age. In fact, scientists now understand aging better and have disclosed that we all have two ages. One age is our chronological age that is determined by counting the years from our date of birth. The second age is our physical age that looks at the health of our bodies and how well it is being maintained at a cellular level. The science of aging shows that aging is not a chronological process. Instead, you start to accumulate senile cells that become dysfunctional over time. It is almost like cancer at a cellular level with the distinction that these cells are not multiplying rapidly but instead are simply stuck in this mode of dysfunction. This is why some people look like they are still in their 20s well into their 40s or 50s. Of course, genetics play a key role in how well you may age. Some people will look like they are in their 20s during their teen years. This is especially true if they have unhealthy lifestyle habits like drinking, smoking, and eating a poor diet that lacks nutritional value. Smoking reduces the amount of oxygen in the blood and, therefore, starves the fine capillaries that feed healthy skin. This demonstrates how important cardio workouts and gym fitness classes are at improving circulation and feeding your cells to prevent senescence. There are also hormonal events that happen during the course of our lives. Women go through hormonal changes after childbirth that may reduce their lifespans. The studies show that women who wait longer to bear children, tend to live longer due to a genetic factor that is activated to care for those children. Yet, of course, we all know great grandmothers of large families who lived well up into their 90s because they stayed lean, refrained from bad habits, and kept busy all their lives. Therefore, life and your lifespan are often what you make of them. Even if some terrible hereditary disease runs in your family like diabetes, cancer, or heart disease, you can stop your genes from expressing those negative traits by keeping your body as fit and healthy as possible. A huge part of staying fit and healthy is exercising and hitting the gym. Not only does a gym membership immediately benefit you with cardio fitness and calorie burns, but it also drives you to live a healthier lifestyle in general. For example, let’s say that you spend 10 hours a week at circuit training classes at our Tulsa fitness center and gym. If you are that dedicated to fitness and taking time out of your work and other obligations, you will be hard-pressed to eat junk food every day. Why is it so hard to eat unhealthy foods when you work out? Because you start feeling that edge from going to the gym and don’t want to struggle, pack on the pounds, or feel a loss of energy by eating unhealthy food. Therefore, the benefits of a gym membership go way beyond any fitness mix classes that you may take at our Tulsa fitness center and gym. When it comes to working out, not everyone has the same gym fitness goals. If you are a man, you typically will have a natural desire to build up your muscles. Guys develop muscle a lot easier than women and can become really fascinated with how strong they can become. Consuming lots of protein, finding the right weight training and muscular endurance courses, and avoiding unhealthy habits will go a long way to improving your overall confidence and work available to you. Guys with big muscles can make extra money by doing side work in construction, moving, roofing, warehouses, landscaping, plumbing, mechanics, towing, and other trades that require some strength. You will also find that relationships are a lot easier to form when you focus on fitness and join a gym. In ancient times, the strongest man would be the chiefest hunter and provider. They would be the kings, the knights, the protectors. So, it is easier for a woman to imagine bearing your children when your genetics look good. Let fitness improve your odds of securing quality genetics for your offspring. Women will also benefit from strength training at the gym to get those hot toned bodies that people drool over. The thin waif look is popular with women who believe that dieting and staying thin is the secret to beauty. While this may be true to a limited degree, they often find that they lack the attractive muscular curves that attract suitors. Under eating often makes women extremely flat-chested, without a voluptuous rear, and lacking in self-confidence. You can now get a tight sculpted body with TRX core and conditioning, stretching and aerobics, and even weight lifting to tone up flabby arms and your core. People of all ages can benefit from aqua aerobics. Because water is such a progressive medium of resistance, it doesn’t matter how old you are or fragile. You can push yourself as hard as you may like by speeding up the pace or even swimming different strokes in the pool. Swimming also takes the stress off of joints because you are buoyant in the water. On top of this, it can be very relaxing to just float on your back or wade in the pool. If you want to get the most out of your gym membership, you have to do some cardio. Whether you decide to do cardio kickboxing or just jog on the treadmills, cardio is a huge way to boost your health. When you do cardio at the gym, you have to push yourself to raise your heart rate and induce some breathlessness. This type of fitness training depletes your oxygen levels and helps you burn calories even when you are resting. Mon – Thurs 6:00 a.m.—9 p.m.
Have you been looking for a friendly, welcoming and comfortable fitness environment? Experience JCC Fitness, we have trained staff, modern facilities and comprehensive programming. We help our members achieve their fitness goals through a variety of programs, workshops and classes for all ages and fitness levels. 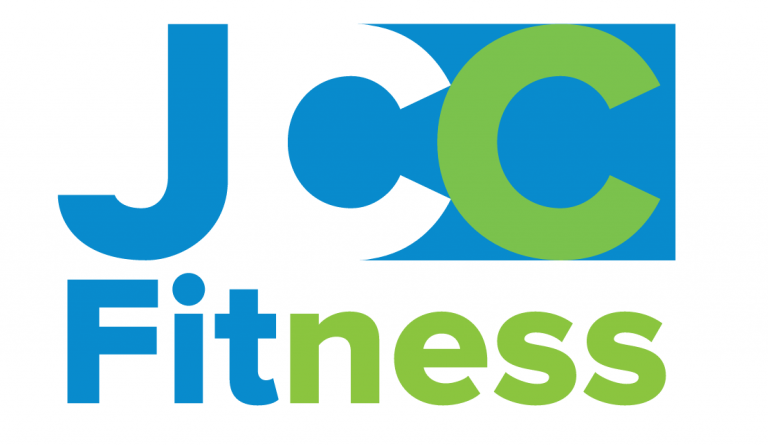 JCC Fitness provides the opportunity to improve your health and overall well-being. We have the program to fit your needs, your overall wellness is our priority! Our center boasts 2,500 square feet of state-of-the-art fitness equipment including cardio machines with personal TVs, free weights, and strength training equipment.